Ironmak Machinery, manufacture pins from high quality steel and differs from other pins in market by its high level of mechanical proporties. Our pin production process never starts without detecting our stock. Materials are tested by and independent laboratory for their proporties of hardness, spectrometric,microcleaning and microcleaning. After testing of hardness and improvement procedure material had sent to CNC department. Materials are treated according to their confident levels, pins are sended to induction procedure for reaching the ideal hardness level. After hardness tests materials are welded by the robots. For increasing the surface quality of the pins, their surface is covered by chromium for protection from corosion and smoothness of the surface is increased. Pin lamas are painted for different colours according to their brand and models, and their model numbers are printed. Pins are packed for protecting their quality until they will reach to their clients, and they are taken to stocks for sale. 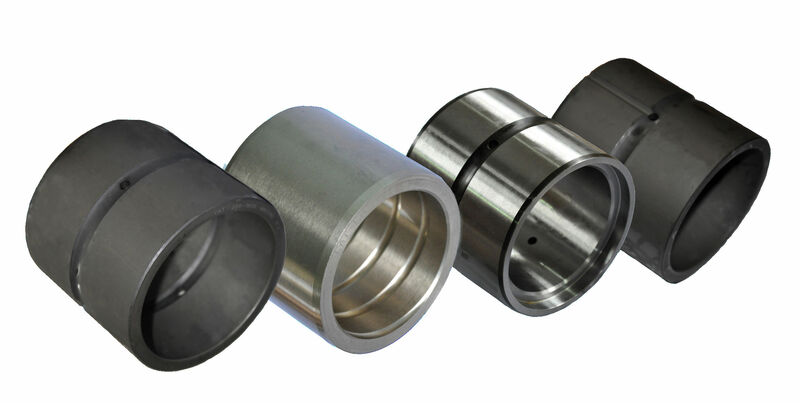 Ironmak Machinery, manufacture bushings made of high quality imported steel starts with the quality control of raw material. The materials controlled as necessary are treated in CNC machines (counters) within suitable tolerance values. If there are lubrication grooves in the bushing, these grooves are opened. The materials treated in suitable sizes are controlled after they are reached to necessary hardness value by subjecting them to cementation and interior-exterior surface grindings are performed. The bushings whose eligibility checks are performed are branded according to the brand and model numbers. They are packaged and put on the market after the protective lubrication is performed. Copyright © 2016 ironmak.com | All Rights Reserved.